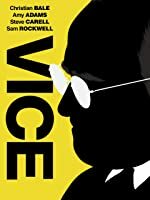 5.0 out of 5 starsBeautiful biopic! 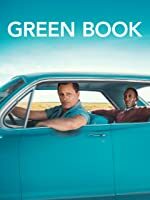 This is one instance where I strongly recommend against using negative reviews from critics to influence whether you should see a movie (biopic, in this case) or not. 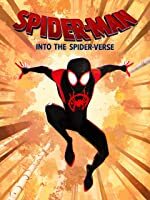 I made sure I was at the movie theater an hour early just so I could get that special seat right up close where I prefer and I'm being completely honest and forthright in saying that I had tears in my eyes throughout 95% of the movie - it was that beautiful and touching. I went into this movie with intentions of paying homage to Freddie Mercury and Queen. I didn't go into it with expectations that I would earn a Bachelor's Degree on Queen-ology and learn every single minuscule detail of his (and their) life. Rami Malek said himself he had no intentions of trying to BE Freddie, but of capturing his essence and I think he did that very gracefully. I have, firsthand, read comments from people who are making negative remarks because the movie didn't really cover Freddie's issues with drugs and homosexual partners. How crazy can you be? 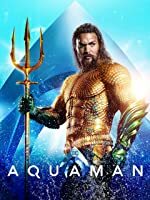 This biopic took a classy approach of allowing younger viewers a chance to enjoy this taste of history without turning it into a complete and total graphic disaster. Brian May, Roger Taylor and other people who knew Freddie were in on helping with this biopic. If they aren't kicking and screaming over it, that says something. Brian May is on social media every day posting movie posters for this movie.﻿ He must be very proud of it! There will never be another Freddie Mercury but Rami Malek most certainly had me in awe at his beautiful portrayal. All of the cast members did! See this biopic! Loved it! Rami Malek killed it as Freddie, and the actor playing Brian May was a dead ringer. I am a Queen fan from way back, and several times a year I go watch the videos of them at Live Aid. This was a great blast from the past and surprisingly , I became a little emotional during the sad scenes! But the Live Aid scenes? Goosebumps and chills! Rami Malek brought Mercury back to life! 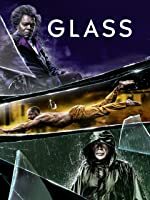 Awesome movie! People were singing and clapping along in the theater! It was like being at the Live Aide concert back in the 80s. If I had a lighter I would have been lighting it like we did back in my day at concerts. The 1970 - 1980s we not only had great music, many of them from my day are now legends. Rami Malek, you have an Oscar in your future, AWESOME PERFORMANCE!! 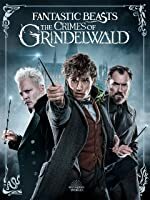 5.0 out of 5 starsBest Movie Ever!!! The 20-minute appearance by the rock group Queen at the Live Aid Concert at London’s Wembley Stadium on July 13, 1985 is consistently ranked among authorities such as Rolling Stone and Billboard magazines as being among the greatest live performance in the history of rock and roll music. 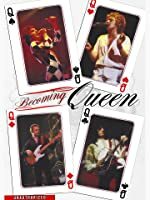 Queen’s ranking at the top of the list takes into account such legendary performances as The Who at the Isle of Wight in 1970, Jimi Hendrix at Monterey Pop in 1967, Santana at Woodstock in 1969, Bruce Springsteen at The Roxy in 1978, Prince at Coachella in 2008, and The Beatles at Shea Stadium in 1965, or on the roof of their Apple headquarters in London in 1970. 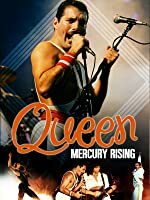 The band’s blistering set at the 1985 global concert organized to alleviate starvation in Africa provides the climactic segment of the new motion picture “Bohemian Rhapsody,” which purports to be a biography of Queen and their flamboyant and sometimes bombastic lead singer, Freddie Mercury. 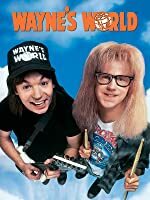 Their concert appearance at Live Aid, which is recreated almost in its entirety at the end of the picture, unfortunately also provides about the movie’s only pulse-pounding moment...and also its only wholly accurate depiction of a real-life event. 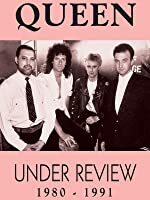 In theory, Queen should never have been as popular as they became: A pop band that combined the rudiments of 1950s-style rock and roll with the theatrical tradition of Gilbert and Sullivan and the English Music Halls, led by the vocal gymnastics of an androgynous lead singer with a flatly astonishing four-octave range, supported by virtuoso guitar instrumentation and soaring, impossibly tight harmonies that did for pop music what the Blue Angels do for aviation. 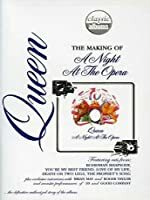 “A Night at the Opera” contained Queen biggest and most enduring hit single, an unlikely six-minute pastiche which defied easy categorization. 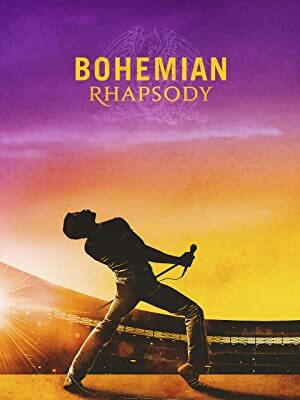 “Bohemian Rhapsody” combined elements of rock, ballad, choral, and classical music with a heaping dose of opera, becoming almost a condensed history of modern music itself. And although the record was released forty-three years ago last week, rarely a day passes that we don’t still hear the song played on television or the radio, in part or in its entirety. Except in the movie biography which shares the song’s title. In “Bohemian Rhapsody”--the motion picture--we see the song being written and shaped, and get some idea of the low-tech methods the band employed to produce the record’s high-tech effects. 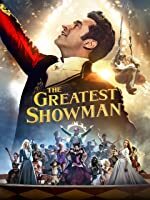 But we never actually hear “Bohemian Rhapsody,” or any of Queen’s greatest hits, performed in their entirely, although we’re treated to brief, tantalizing snippets of songs throughout the picture’s 134-minute running time. That’s partly why the Live Aid sequence is not only important to the picture as whole, but also vital to its existence: Because although “Bohemian Rhapsody” is a movie about one of the most influential bands in rock and roll history, by the time the concert sequence appears at about two hours into the picture the audience is nearly starving to hear some actual songs performed. 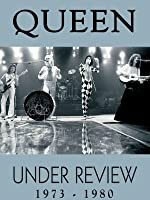 Anthony McCarten’s screenplay for “Bohemian Rhapsody” pushes the movie through the tried-and-true template of classic film biographies from “Rhapsody in Blue” in 1945 to “The Greatest Showman” last Christmas. In the process, the picture gets a lot of information wrong, creates drama where none existed in real life, and omits entirely Queen’s most creatively fertile and productive period, from 1975 to 1980. 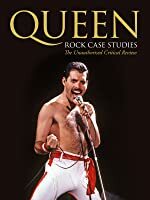 As in most of the other film biographies you’ve ever seen, the central character--in this case Freddie Mercury--through hard work, persistence, and a commitment to his own unique artistic vision rises to the pinnacle of show business success. 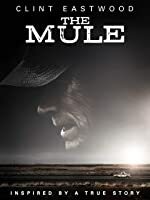 Once achieving international fame and fortune, he falters and momentarily loses sight of his moral compass and ideals, and then achieves even greater success by rediscovering his original goals in time for the movie’s conclusion. Unfortunately, in embracing the formula of other big screen biographical pictures, “Bohemian Rhapsody” also embraces most of the cliches and platitudes of an overworked genre. The picture is entertaining enough in a sanitized fable sort of way, but is almost worthless as a viable biographical document. In the end, the picture probably plays best for Queen fans, as if the picture was written to conform to the title instead of the other way around. 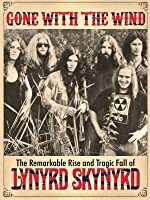 Viewers unfamiliar with the band’s reputation will likely leave the theater with more questions than answers. Being a rock and roll biography, the picture naturally includes scenes of rock star excess and debauchery, represented here mostly by Freddie’s parading shirtless with a monarch’s exaggerated crown perched atop his head through what seems to be a mildly raucous college fraternity party. Honestly, Sal Mineo being corrupted by a reefer-toting Yvonne Craig in 1959’s “The Gene Krupa Story” was a lot more shocking--and a lot more fun--than Freddie’s supposedly naughty behavior as depicted here. By most accounts, the Freddie Mercury who appeared onstage as the front man for Queen all but disappeared between concerts and tours. According to friends and family, the performer in real life was shy and withdrawn, polite, respectful, and well-spoken. Actor Rami Malek portrays Mercury with a sort of itchy charm, wearing a succession of wigs along with a dental appliance to simulate the singer’s signature overbite (Freddie explains early in the picture that he was born with four extra incisors). Malek’s augmented resemblance to the entertainer is remarkable, but only during the concluding Live Aid sequence does the actor achieve anything like symbiosis. The troubled production history of “Bohemian Rhapsody” is nearly as dramatic as anything which appears onscreen. For years, actor and comedian Sacha Baron Cohen was associated with the role of Freddie Mercury. But ultimately Baron Cohen was rejected by surviving Queen members (and “Bohemian Rhapsody” co-executive producers) Brian May and Roger Taylor, allegedly over the actor’s strong association with comedic roles, as well as his desire to explore the seamier aspects of the Queen saga as opposed to the more sanitized approach favored by the band members. Director Bryan Singer, best-known for his direction of a number of Marvel’s “X-Men” pictures, enthusiastically lobbied for the “Bohemian Rhapsody” assignment, and was eventually approved by 20th Century-Fox executives, albeit reluctantly. But Singer’s erratic behavior during the production created enormous friction between himself and the cast, primarily Malek. 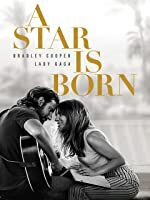 Following an unexplained three-day disappearance, Singer was fired from the picture and replaced by Dexter Fletcher, although as a result of Director’s Guild arbitration Singer retains sole credit as the film’s director. Released to some 4000 theaters across North America, distributor 20th Century-Fox hoped to earn $26 million from “Bohemian Rhapsody” during its opening weekend, but estimates were adjusted upward to $35 million following the film’s $18.4 opening day revenues. The actual amount earned was $50 million, giving the picture the number one spot at the box office. “Bohemian Rhapsody” is rated PG-13 for adult themes and language, and some sexuality. 5.0 out of 5 starsOBSESSED!!! This movie was amazing! 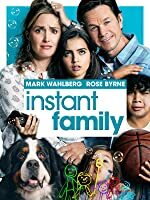 I saw it twice in the first two days it was out. I have downloaded the music and blasting it in my car. I have watched all the interviews of the actors and Freddie Mercury interviews. I liked Queen before but now I am obsessed. Remi did a great job in the roll and they did a good job matching the other players in the band. 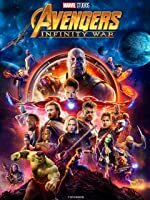 I had the pleasure of taking my 84 yo friend to this movie. 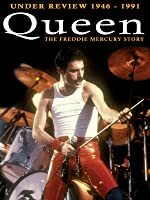 He recounted attending some early concerts of Queen and I took great pleasure watching him react to this movie. Well done Rami! You are top of my list of favorite actors! I totally enjoyed your performance in Mr Robot and am blown away by Bohemian Rhapsody! Awesome movie and its on my collectors list.